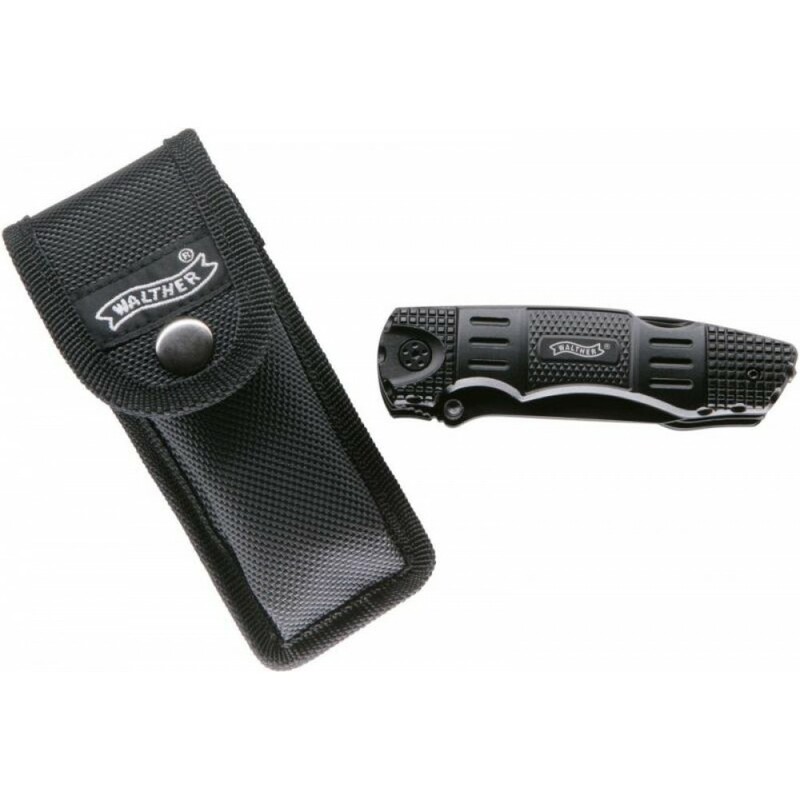 The Multi Tac stands for a new generation of multi-function knives - a combination of tactical knife and tool. 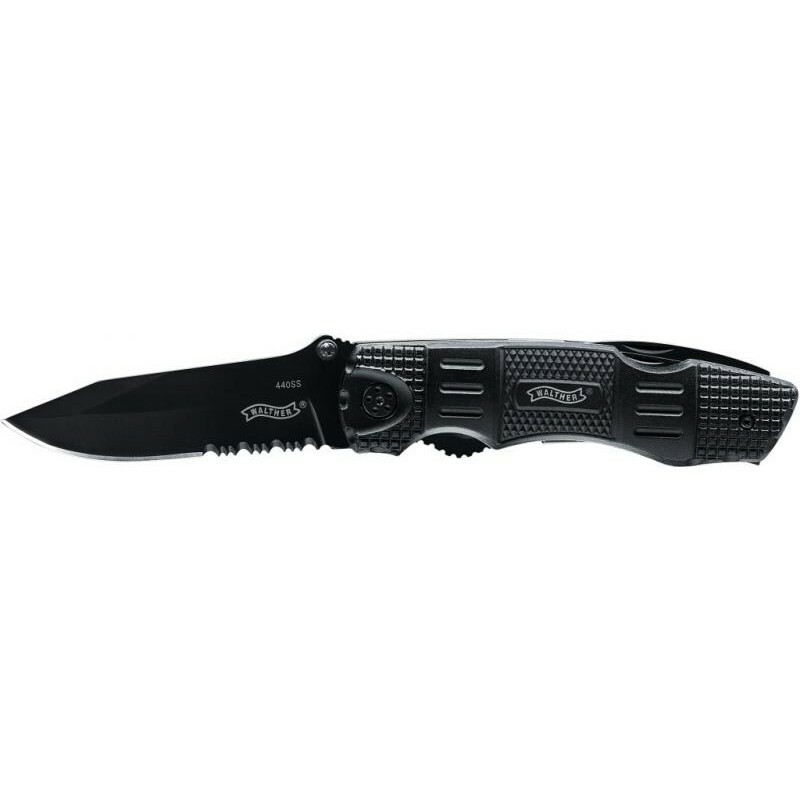 The one-handed blade in matt black finish with partial serration has a Liner Lock feature. 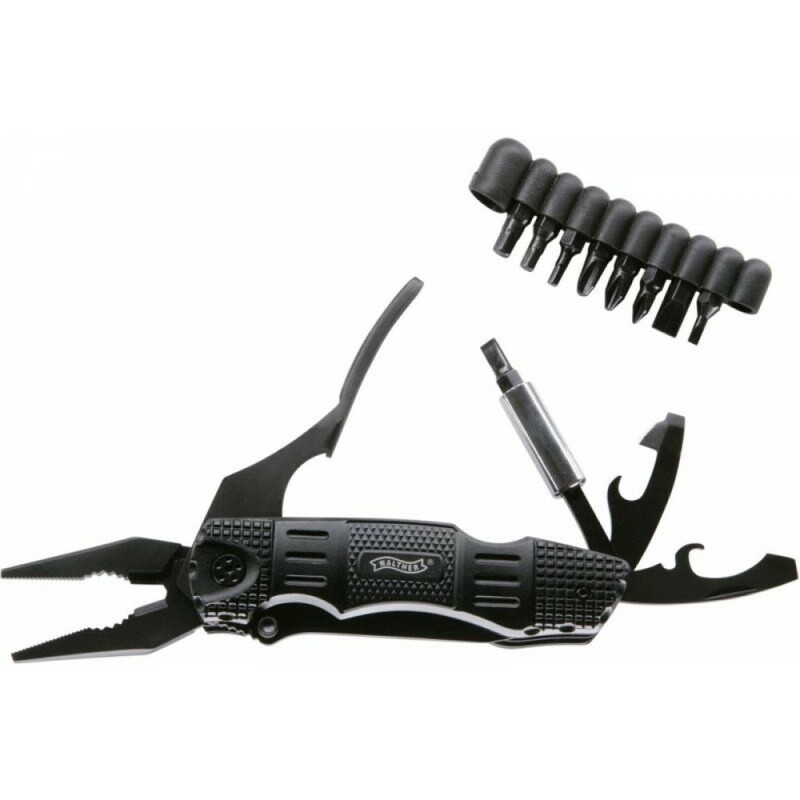 The handle of the tactical knife contains the multi-function tool, consisting of bottle opener, can opener, screwdriver and swing-out bit holder.